We were shocked and frustrated by the unexpected news of the Chapter 11 filing by Cartel Management, Inc. and Titans of Mavericks LLC. Jeff Clark and the local crew who created and organized the event, always had the primary focus to support the men and women who surf Mavericks, preserve the sanctity of the wave and support the local community. He and others have sacrificed much to create a stage for the world's best big wave surfers, and we are disappointed that this latest news adds to the stormy history of the event and the wave. To learn of the filing through the media only highlights the disconnect between our community and the promises made but not fulfilled by those who do not carry the commitment to this sacred place in their hearts and souls. Sadly, the event - along with other assets of Cartel Management - ended up in Fedral Bankruptcy Court, taking with it the primary permit long held our group known as Mavericks Invitational. After many months of uncertainty and unrest, the World Surf League (WSL) purchased select assets from bankrputcy, including our permit. We are incredibly disappointed that the local agency issuing the permit would allow it to be transferred to Cartel without our knowledge and ultimately wind up in a feeral court, only to be purchased by the highest bidder. Years of hard work, investment and local knowledge was suddenly turned over to an entirely new entity. We remain hopeful that the WSL will serve in the best interests of the surfers, the community and this unique environment, while honoring the history and legacy of this great wave. We believe that the WSL will be a far better steward than other outsiders have been, and so we will work to provide input and guidance in the best interest of all involved. When knowledge of the massive waves at Mavericks became widespread in the early '90s, big wave surfers from around the world began to make the drive to the sleepy town of Princeton-by-the-Sea to witness and challenge the beast of a wave. By 1998, a small group of big wave surfers decided to showcase the rising talent on display at Mavericks. Thus, the idea for a big wave contest at Mavericks was born. Jeff Clark, the pioneer of the spot, led the way to showcase the best talent -- much like a father showing off his pride and joy. His role as Contest Director also meant that Clark would never surf in an event he worked so hard to make a reality. The early years of the contest were sponsored by Quiksilver and were known as Men Who Ride Mountains. Competitors included Pete Mel, Darryl "Flea" Virostko, Grant Washburn, Brock Little, Shawn Rhodes, Ross Clarke-Jones, Evan Slater and other big wave legends vying for the crown. In the early years, the sport was dominated by men, and there was only one woman -- Sarah Gerhardt -- who surfed Mavericks. A true pioneer, Sarah was an alternate for the contest in 2001 (other notable alternates over the years include Kelly Slater, Garrett McNamara and Richard Schmidt), and for many years and until recently, she was one of only a few women who surfed the spot. Today, men and women are charging the waves at every chance to challenge their skill and, for some, to pursue one of the coveted invitations to the contest. An interesting part of Mavericks lore is that, since the early days of the contest, it has not been without its controversy or drama. Perhaps that is a reflection of the wave itself, a maverick, one that does not follow the rules or the norms. Jeff Clark's vision for a contest was, and remains, to have it be a showcase for big wave talent, to help launch careers for big wave surfers, and create opportunities to support the surf culture and local businesses in the community. A surfer at heart, his true passion always was to feel the power of the ocean, test his focus and ability, and enjoy the thrill of riding massive waves -- a far cry from the business logistics and politics of organizing an event for the world's stage. That's where others have stepped in, in various iterations of the event, some helpful and some with grandiose yet failed notions of making money, a pursuit that takes it far beyond a small-town, fun event for surfers. It's a tricky balance, one that elevates athletes and launches careers, but often takes away from those soulful moments in the ocean. It's as though the "myth" of Mavericks stays with anyone who becomes a part of it, and it's hard for some to let go or refrain from pushing limits. While Jeff remains involved in the contest, his focus is on safety, athletes and respect for this revered spot he has surfed for 42 years now. As he has always said, "Mavericks will take care of itself." Today, the contest is on the biggest world stage its ever seen. The webcast is one of the highest rated sporting events in history, with people worldwide turing in to watch the biggest and gnarliest rides and, yes, wipeouts. The evolution of the event continues, and any surfer chosen to participate must skillfully surf Mavericks, not just survive it, in order to be considered among the invited competitors. And in 2017, the first Super Heat featuring female big wave surfers will take place as part of the event -- a goal for Jeff Clark and organizers for many years finally coming to fruition. In 2014, when the contest became known as Titans of Mavericks, it was named for the Titans of Greek religion and mythology: one of 12 primeval deities —six men and six women— a reflection of the evolution of big wave surfing, and a nod to the future of surfing at Mavericks, for both men and women. "Do you surf Mavericks?" is a question almost ever surfer gets, especially if you hail from California. But big wave surfing is a different sport altogether. We do get calls and letters from surfers of all levels asking about getting an invitation to compete, or even about getting lessons to surf Mavericks. It's hard to comprehend that notion. Knowing one's abilities in the raw power of the ocean -- making sure your skill matches your desire to surf bigger waves -- is what determines whether a surfer is ready to take their talent to the next level. 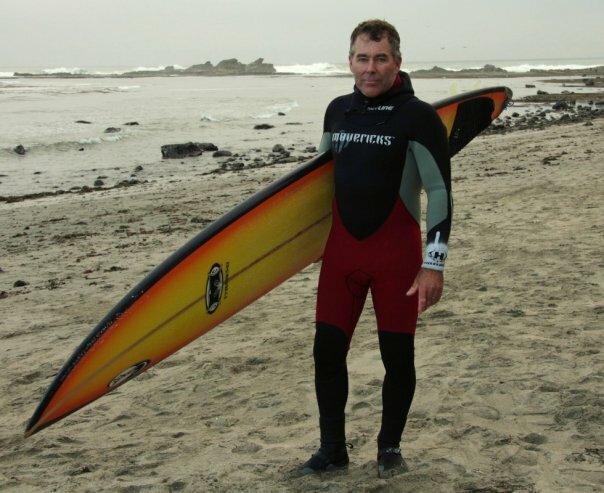 Says Clark, "I often get asked if someone may be ready to surf Mavericks. I tell them, the only person who knows is the person in the mirror." 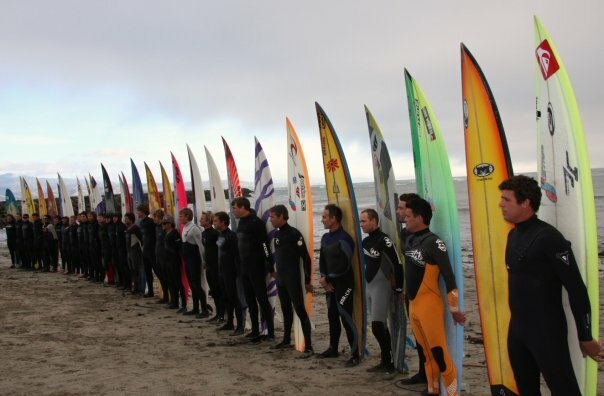 Click here for more history of Mavericks.